We specialize in protecting your data at all levels. We offer several types of backup from basic stored-at-your location file backup to HIPAA-compliant secure cloud backup. 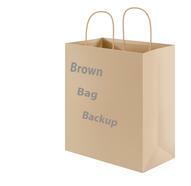 Brown Bag Backup is the easiest to use thumb drive-based backup around. We have designed this backup software to be inexpensive and simple to use for backup ongoing document and picture backup for any Windows desktop or laptop computer. It’s only $39.95 including a 16 GB thumb drive (larger sized drives are priced including the cost of the larger drive). 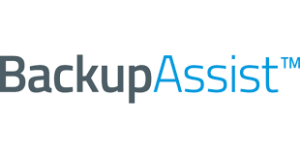 We specialize in both on-site and off-site backup solutions from Acronis, CrashPlan and BackupAssist to offer a wide range of options for system and/or data backup. Our recommended backup solutions have been refined to a core group of products that are effective, secure and extremely reliable. All our solutions off HIPAA-compliant backup features to adhere to various medical and financial requirements. Please reach out to us with any questions regarding your backup needs. We are experts at data recovery. We use state-of-the-art forensic data recovery software and have been very successful at recovering data from hard drives, USB drive, flash cards, and more. We also partner with DriveSavers in the event that a clean-room recovery will be necessary. Most data recovery scenarios take between 2 and 4 hours. The costs can vary widely, especially if the drive has to be clean-room processed. However, if we can’t get your data off your media, there is NO charge. Please contact us for a no-pressure review of your data recovery needs.